Discover new possibilities with the Samsung Galaxy S8 and S8? There are many ways you can do this, some simple, some a little more complex. 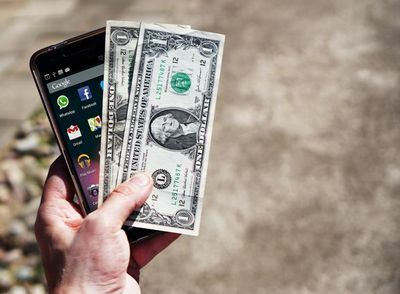 So, if you’ve got a smartphone, ditch the texting and take a look at these five ways you can make money from that little device you carry around in your pocket. If you’re snap happy then why not make some money from your camera roll? Apps such as Foap allow you to sell your images with half of the proceeds going to you, half to Foap. You’d be surprised by the amount you can make from this with a number of brands opting to pay for these instead of stock images. You can also be given missions from companies who want to use you, essentially meaning they want you to photograph something, which can pay as much as $1,000. With $1,000 to give away each day, HQ is like a miniature Who Wants To Be A Millionaire for your mobile. Joining tens of thousands of other players each day, HQ tests your knowledge on your quest for cash. You’ll be given 12 questions with all the quizzers left standing taking a split of the pot. It isn’t easy, but if you fancy yourself as a general knowledge expert, then you never know. Online casinos have been around for some time now and many have made their way onto mobile. Some of the best sites have mobile compatibility now so you can aim for a prize pot whether you’re sat at home, commuting to work, or even sat bored in a meeting! With all the standard casino games available, it really can save you a strip down to your local gambling house. And what’s more, you can still claim the same huge jackpots. You may have been the Taxi of Mom or Dad for some time already, but with the help of a smartphone you can turn your car into a real life taxi. Of course, there are tests and applications you need to complete but becoming an Uber driver is becoming more and more popular in people’s spare time. Additionally, if you don’t wish to carry people around, you can always use your smartphone to deliver food via the likes of Uber Eats and Deliveroo. If you’ve ever worked in retail, you’ll know the dread of serving a mystery shopper. You have know idea when, no idea where it’ll happen. Now you get the chance to be that shopper. Apps like mobee and Easy Shift give you the chance to mystery shop and get paid for doing it. All you have to do is follow their directions and terms, fill out the form reviewing the establishment and you’ll earn some money. Simple.